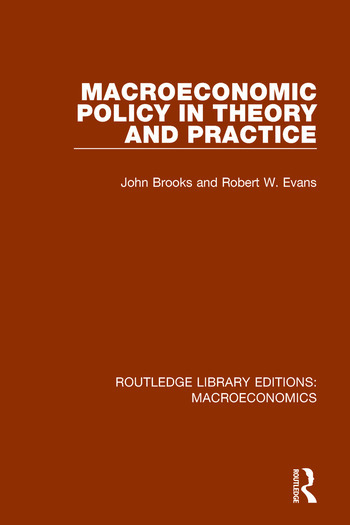 This book, originally published in 1978, makes use of and extends first-year macroeconomic theory to examine how governments attempt to use the instruments of macroeconomic policy in order to acheive their objectives. It begins with a discussion of the meaning and desirability of policy objectives, moves on to examine the workings of the main policy instruments and concludes with a chapter which outlines Tinbergen’s ‘fixed’ targets’ and Theil’s ‘flexible targets’ approaches to policy. A chapter on debt management considers the main theories of the term strcutyure of interet rates and their implications for debt management as an instrument of policy.